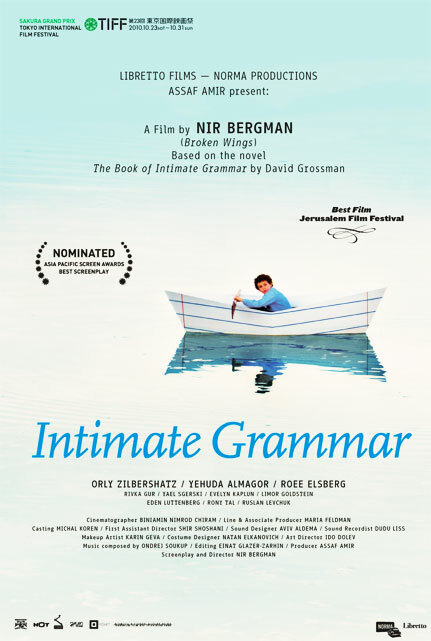 Winner of the Best Feature Film Award at the Jerusalem International Film Festival 2010 and the Sakura Grand Prix at the Tokyo International Film Festival, "Intimate Grammar" is a sensitive study of an inner journey rich in detailed observation. A dysfunctional family and delayed puberty make life miserable for a pre-adolescent growing up in Jerusalem in the 1960's. 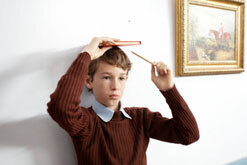 The film, an adaptation of David Grossman''s "The Book of Intimate Grammar", shows our hero, Aharon Kleinfeld, striving to survive his domineering mother, his anti-intellectual father and his own diminutive stature in a setting of a lower-middle-class housing development where gossip is rampant and appearances are all important. Three years in the life of Aharon in which his soul matures but his body refuses to grow. Perhaps, one of his glands is dormant, or perhaps he is afraid of growing up and becoming like his parents. Or maybe, he is just a late bloomer, in need of a little more time. But nobody has the time to wait. Betrayed by his family, by his best friend and his beloved, lonely in his small body, but aware of his maturing soul, he realizes something must be done.